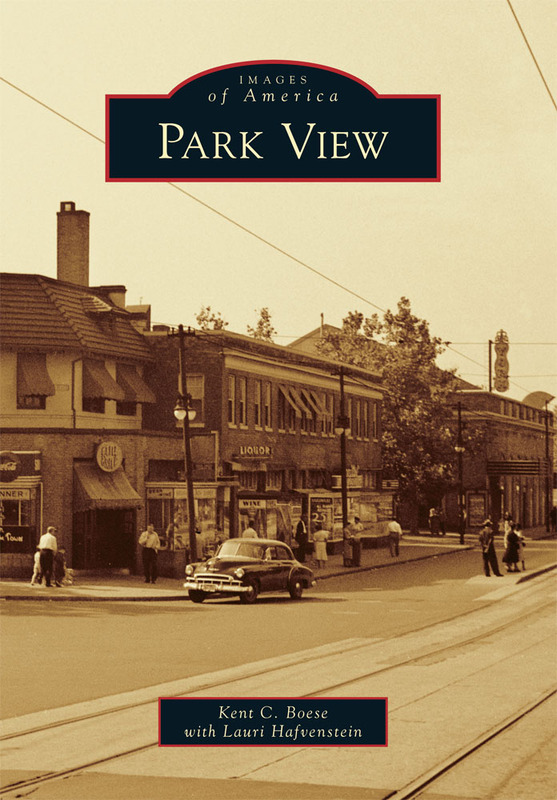 leaf collection | Park View, D.C. 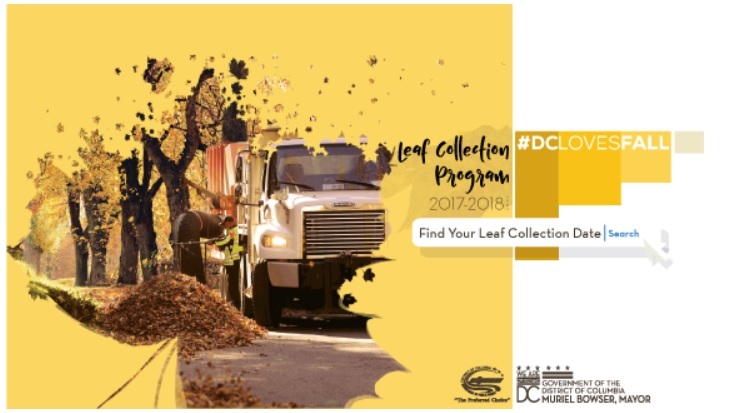 The first round of leaf collection for residents of Ward 1 living east of 16th Street is from November 18th to November 30th. If you have leaves please have them raked and out by Sunday, November 17th for collection. 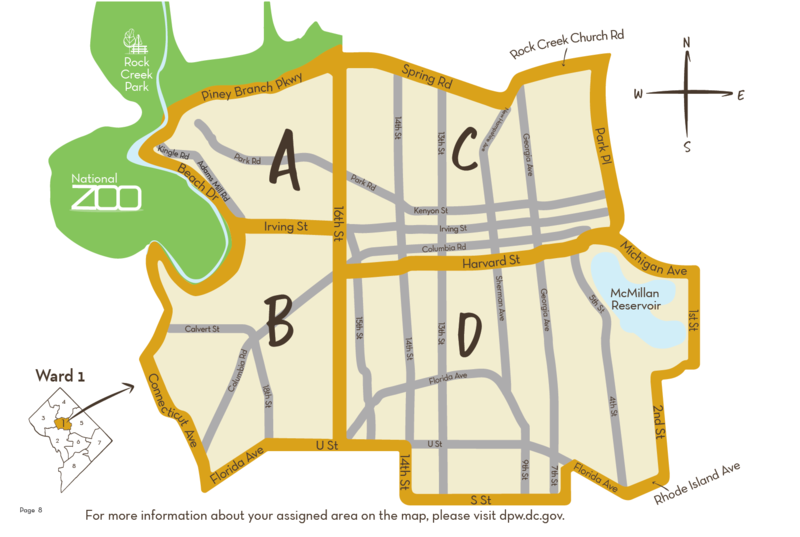 Below is the map showing the area where leaf collection will begin on Monday. DPW uses vacuum trucks to collect the bulk of the leaves, which are then composted. 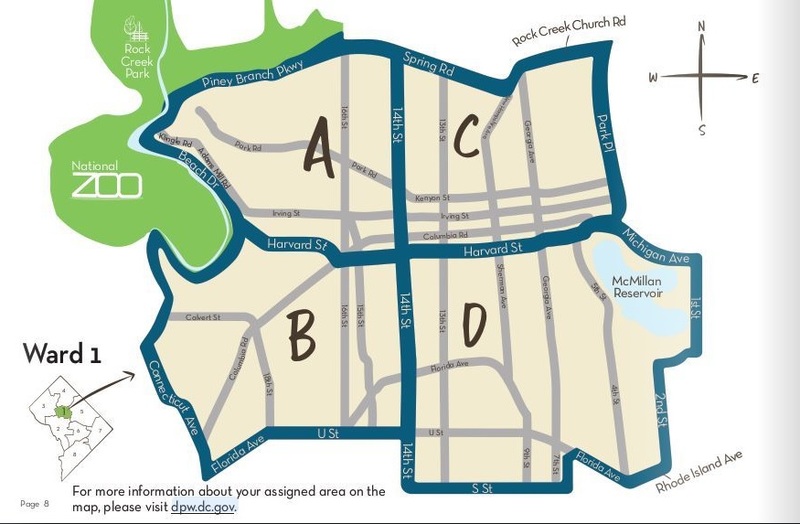 DPW urges residents to follow the schedule when planning to rake loose leaves into piles in the curbside treebox space for collection. DPW will collect bagged leaves from the treebox space as well. In neighborhoods with alley trash/recycling collections, bagged leaves also may be placed where trash and recycling are collected. These leaves will be disposed with the trash as space allows in the truck. 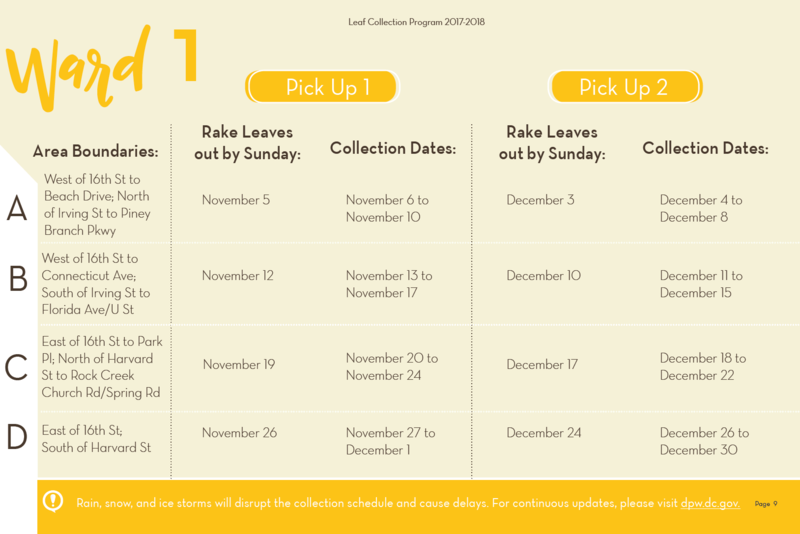 Rake leaves into the treebox space the weekend before your street’s schedule collection week. 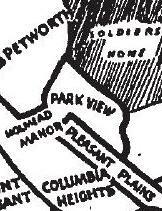 Once DPW serves the area, they will not return until the next scheduled leaf collection week. Do not put leaves in the street. 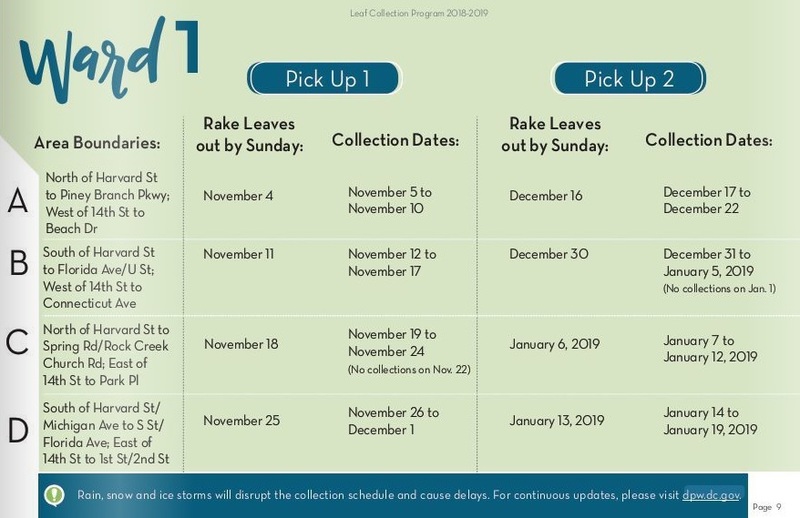 There will be a second round of leaf collection later in December. To participate in that, rake leaves out by Sunday December 15th for collection the week of December 16 to 28.